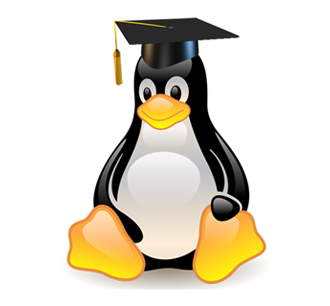 The Linux Foundation ‘Introduction to Linux’ course is now available via the edX online training system. This course is a version of the classroom based course that has been converted to run on the edX system. This is currently the only Linux foundation course on edX, however they do have other IT courses available supplied by other partner institutions. Introduction to Linux can be found at https://www.edx.org/course/linuxfoundationx/linuxfoundationx-lfs101x-introduction-1621. This course is ideal for newcomers to Linux and will help fill a few gaps for those who have dabbled a bit but have not been formally trained. It is truly a beginners course though and those with any experience of linux will find themselves skipping through the earlier parts wondering if its worthwhile. However once past the adverts for Linux in the early part it proves to be useful and covers a breadth of topics giving the learner enough for them to take things further. The course uses example distros from SUSE Centos and Ubuntu. To get the most value from the course I would recommend creating 3 virtual machines to play with as you proceed, since its useful to appreciate the differences between the distros. You can take the course for free or you can pay for a validated certificate at the end. You also have the option of signing up for a free ‘honour’ certificate where your identity has not been validated by edX but a certificate is issued anyway. This entry was posted in Linux by Steve. Bookmark the permalink.